Our "Flexi Lessons" are designed for kids (7-15) who love surfing occasionally and for families who enjoy the flexibility of not having to commit to an ongoing course. Our very own team of experienced PE teachers and sports scientists have designed all our programs to provide education, maximum fun and safety for your kids. We cover the basics from warm-up to paddling, catching waves and standing while also catering to intermediate and advanced students (technique refinement and style improvement). 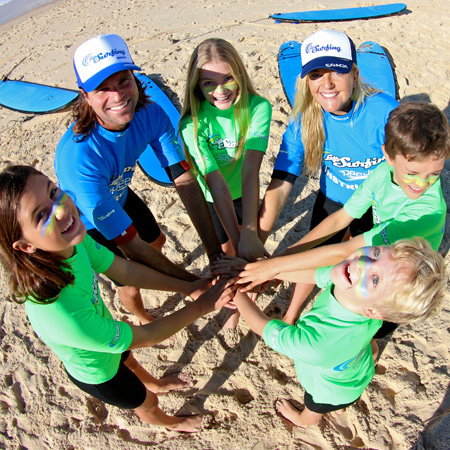 Your kids will also learn important surf and safety rules including info on rips, tides, sandbanks and waves.